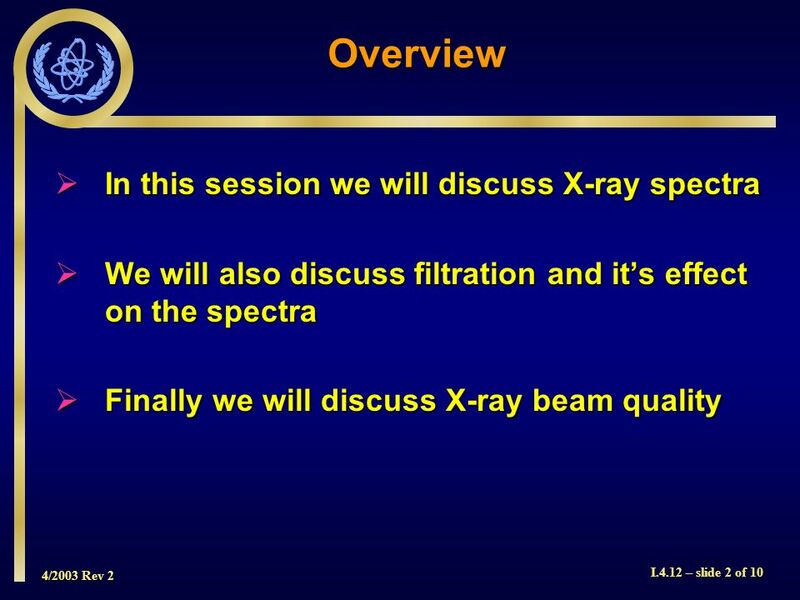 4/2003 Rev 2 I.4.12 – slide 1 of 10 Session I.4.12 Part I Review of Fundamentals Module 4Sources of Radiation Session 12Filtration and Beam Quality IAEA. 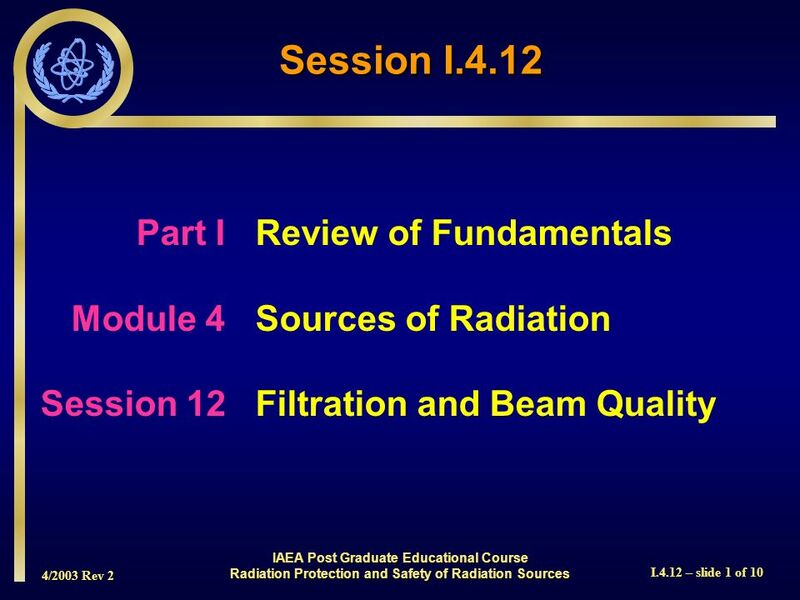 Download ppt "4/2003 Rev 2 I.4.12 – slide 1 of 10 Session I.4.12 Part I Review of Fundamentals Module 4Sources of Radiation Session 12Filtration and Beam Quality IAEA." 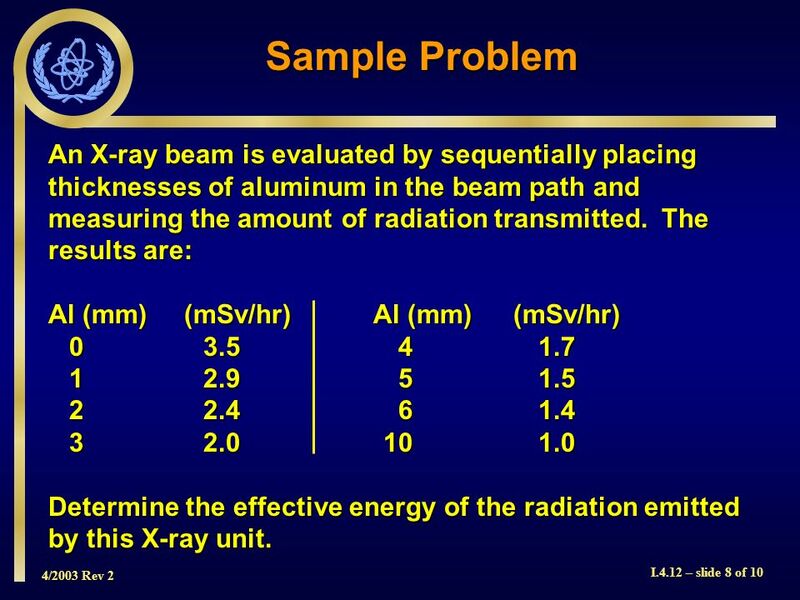 3/2003 Rev 1 I.2.9 – slide 1 of 35 Session I.2.9 Part I Review of Fundamentals Module 2Basic Physics and Mathematics Used in Radiation Protection Session. 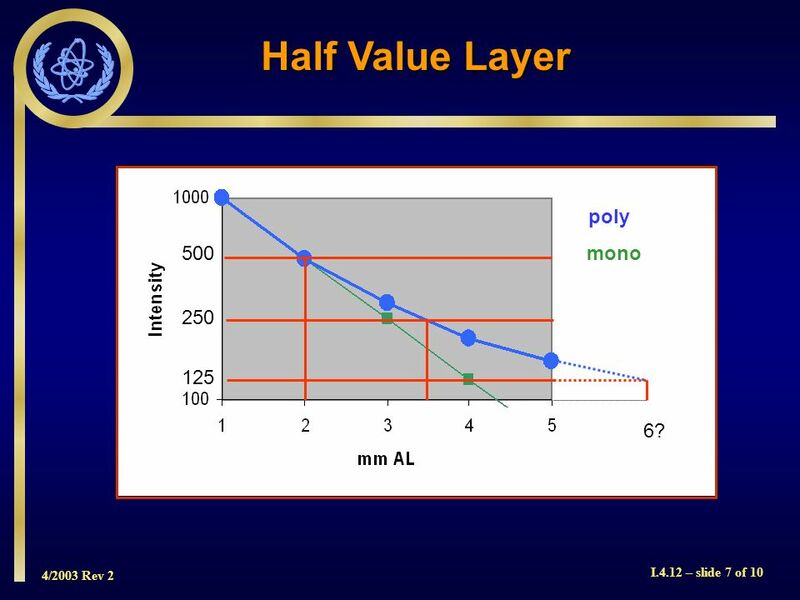 4/2003 Rev 2 I.3.6 – slide 1 of 23 Session I.3.6 Part I Review of Fundamentals Module 3Interaction of Radiation with Matter Session 6Buildup and Shielding. 3/2003 Rev 1 I.2.11 – slide 1 of 11 Session I.2.11 Part I Review of Fundamentals Module 2Basic Physics and Mathematics Used in Radiation Protection Session. 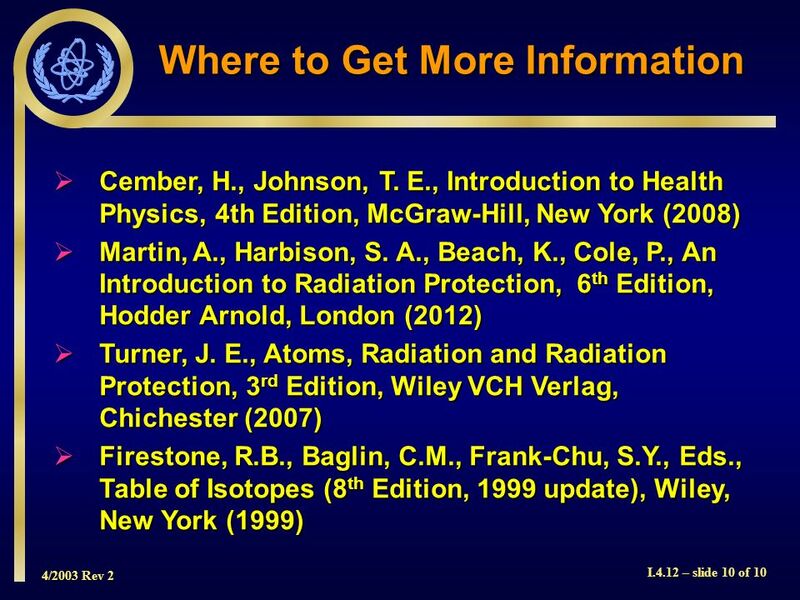 3/2003 Rev 1 I.2.7 – slide 1 of 35 Session I.2.7 Part I Review of Fundamentals Module 2Basic Physics and Mathematics Used in Radiation Protection Session. 4/2003 Rev 2 I.3.4 – slide 1 of 24 Session I.3.4 Part I Review of Fundamentals Module 3Interaction of Radiation with Matter Session 4Photon Interactions. 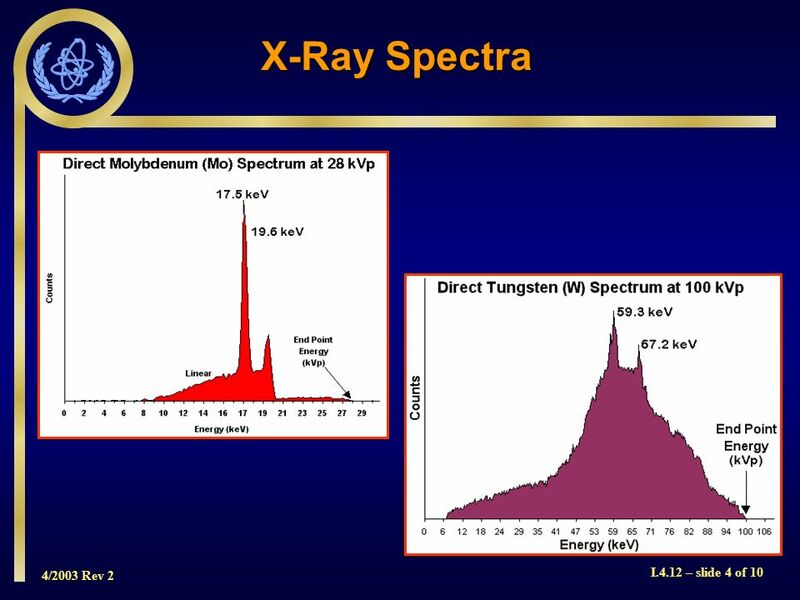 3/2003 Rev 1 I.4.2 – slide 1 of 20 Part I Review of Fundamentals Module 4Sources of Radiation Session 2Cosmic Radiation Module I.4.2 IAEA Post Graduate. 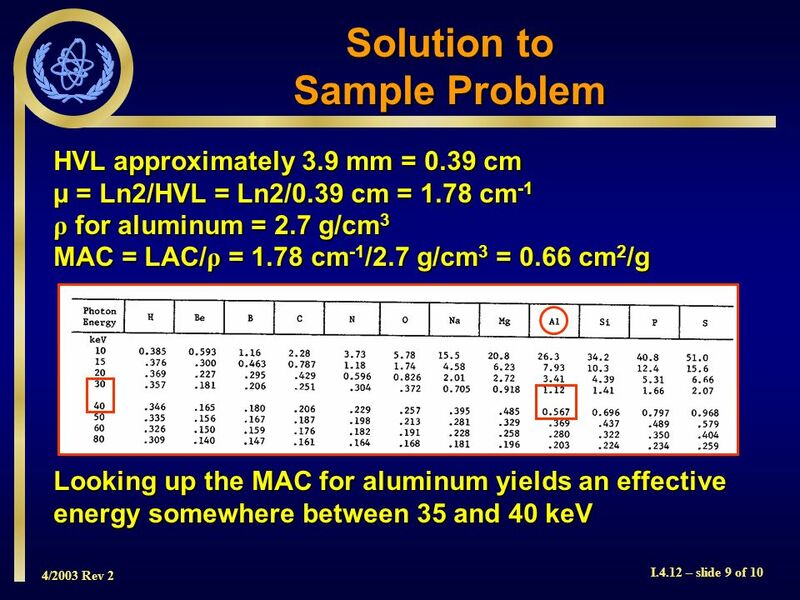 3/2003 Rev 1 I.3.7 – slide 1 of 23 Part I Review of Fundamentals Module 3Interaction of Radiation with Matter Session 7Neutron Interactions Module I.3.7. 4/2003 Rev 2 I.2.4 – slide 1 of 9 Session I.2.4 Part I Review of Fundamentals Module 2Basic Physics and Mathematics Used in Radiation Protection Session. 4/2003 Rev 2 I.2.1 – slide 1 of 29 Session I.2.1 Part I Review of Fundamentals Module 2Basic Physics and Mathematics Used in Radiation Protection Session. 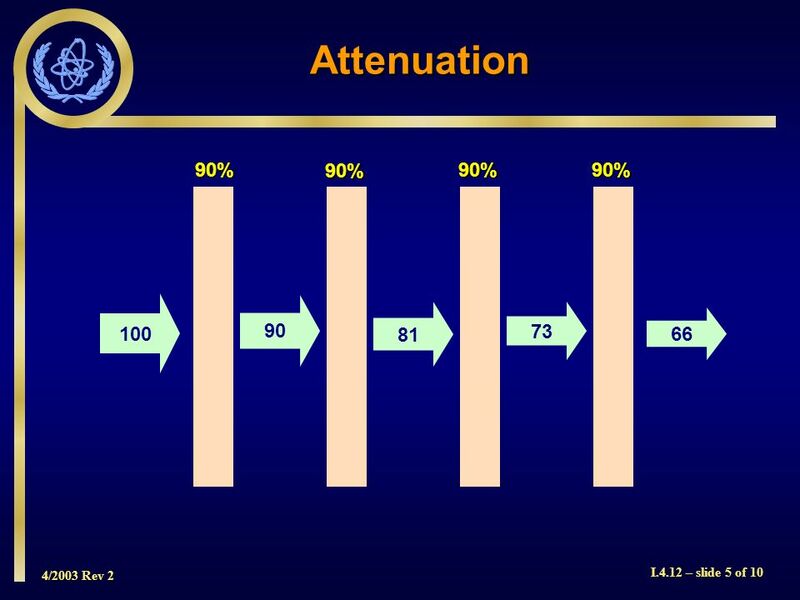 4/2003 Rev 2 I.3.5 – slide 1 of 30 Session I.3.5 Part I Review of Fundamentals Module 3Interaction of Radiation with Matter Session 5Attenuation IAEA Post. 4/2003 Rev 2 I.4.3 – slide 1 of 29 Session I.4.3 Part I Review of Fundamentals Module 4Sources of Radiation Session 3Alpha, Beta, Gamma and Neutron Sources. 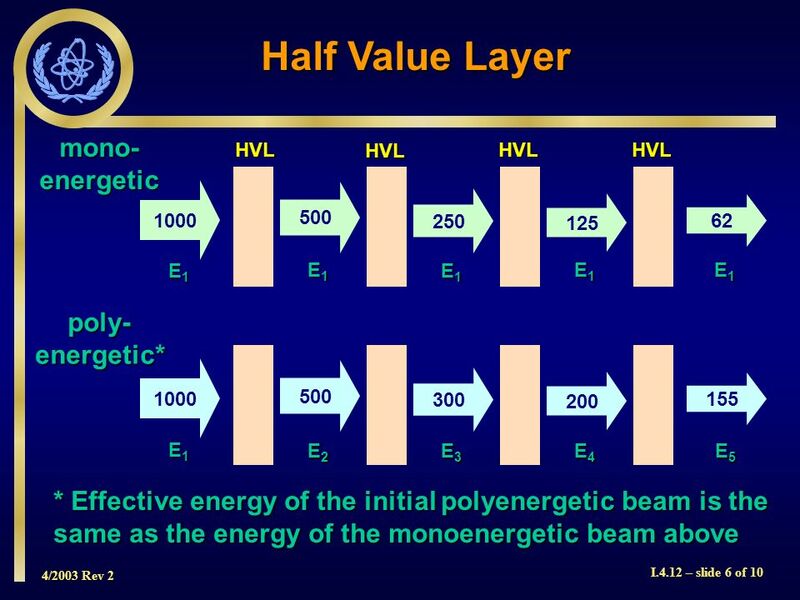 3/2003 Rev 1 I.2.5 – slide 1 of 21 Part I Review of Fundamentals Module 2Basic Physics and Mathematics Used in Radiation Protection Session 5Nuclear Stability. 4/2003 Rev 2 I.2.2 – slide 1 of 13 Part I Review of Fundamentals Module 2Basic Physics and Mathematics Used in Radiation Protection Session 2Excitation. 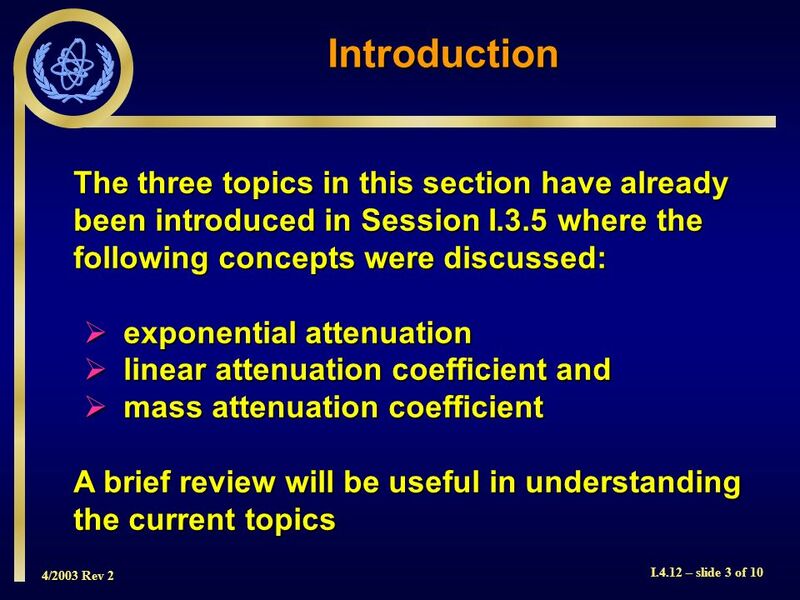 4/2003 Rev 2 I.2.3 – slide 1 of 15 Session I.2.3 Part I Review of Fundamentals Module 2Basic Physics and Mathematics Used in Radiation Protection Session.